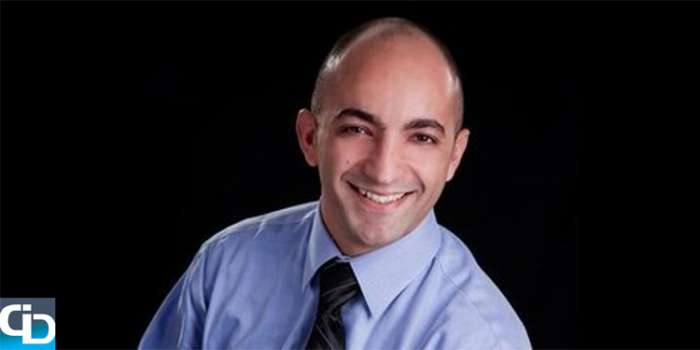 Bruno Aziza is an Analytics and Marketing powerhouse with a career spanning nearly 20 years working with organizations in France, the UK, Germany and the US. He also advises startups on how to ‘crush it’ with growing high-performance global marketing teams. It was just announced this week that he has joined AtScale, the industry’s first business interface for Hadoop, as the Chief Marketing Officer. Bruno recently spoke to icrunchdata about his career in analytics, his love for Soccer/Football and how he sees wearable technology impacting our lives. Bruno, thanks for talking to us today and congratulations on your new role at AtScale, let’s get going. Okay, here comes the long list… you’ve held senior level analytics positions at large organizations to startups, you are a self-described product guy at heart, you’ve actually held the title of Data Geek, your profile picture shows you wearing a Big Data Nerd t-shirt and you are incredibly passionate about soccer. If you had to have one job title for the rest of your career, what in the world would it be? Big Data Nerd is probably the best professional description for me. I grew up in France and came from a background where everyone loved math so I rebelled. I didn’t like math at first but there were really two paths to follow. Either go math and physics or languages so I took the language route. My native language is French but my first language in school was German, then I learned English and it was interesting because my grandfather was a prisoner-of-war in Germany so when I told him German was the language I was going to pick and I was going to move to Germany to learn it, he didn’t like that too much. The fact that I wasn’t taking the math route wasn’t a great thing but over time I reverted back to math. I always thought math and languages were coming from different parts of the brain but learned that if you are good at languages, you will be good at math. All of this time I thought I was rebelling but I was really just working on my math muscles. In general, data has always been driving my life and I was passionate very early about data and how it’s used. As a marketer, you want to be perceived as an artist but everything I do is measured and I’m probably on the extreme side of measurement. You were recently the Chief Marketing Officer at Alpine Data Labs and previous to Alpine you have held senior positions in marketing and analytics at Microsoft and BusinessObjects/SAP. What are you most proud of when you think back on your career with these three companies? Big Data is a very noisy and difficult space. The thing that I’m most proud of not just at Alpine and at SiSense as well is at Microsoft, we did a weekly show on a segment of the space to explain big data and in just 3 months we had a million viewers. At SiSense we grew at an incredible pace and we put the company on the map in a big way. At Alpine, the company was really unknown but we were able to explain how we were different, and got singled out by Gartner as a visionary. As a marketer, it’s very difficult to be heard through the noise and explain to people what you are about. By successfully doing this, it translates into customers and revenue. There’s nothing better as a marketer than creating content that results in acquiring active customers. You advise startups on how to grow high-performance marketing teams and help them build an effective marketing strategy regardless of whether they are venture-backed or not. What does a company have to accomplish to move from being considered a startup to just a company? I don’t know the answer to that. The way to think about it is maybe a cultural thing. A Harvard professor said to me, “Competing is knowing what you need to do, the only thing in the way is hard work.” I’ve been lucky in my career because the cultures that I’ve worked in have always been about the team, there’s no politics and we know what we need to do so what’s left is hard work. When you become a large company, you become complacent and lose your edge on certain things. Once you have more resources, it’s a curse in a way because you can afford to do more things but if you are not good at prioritizing, it makes things a lot more difficult. You become a company in a negative sense when you lose that edge but you become a company in a positive sense when you keep that startup culture, working together as a team without politics. What sports analytics companies do you think will have the biggest impact on professional sports in the next five years? Unfortunately, it’s hard for startups to come up with a real solid business model for sports analytics but there are a few. RunKeeper was founded by Jason Jacobs because when he was training for the Boston Marathon there was no way to accurately track his training so he built the first app to do this. I personally use this app all of the time because it’s a very well done app. The other company is Nike. I don’t think Nike knows that they should be in the data business yet but they have a great platform to do it. I have a lot of Nike gear because they have really taken over Soccer and have done a good job in branding into the Soccer community. I’m sure they are working on it but what about connected shirts and connected apparel that you can wear. Right now all of the devices are external. Your phone is external, your watch or bracelet is external. I want to just put on my shirt and have my shirt figure out everything else. Ultimately we will just get to a pill that you swallow and for the next hour, it records everything that you are doing but this requires scale and Nike has the scale to do it. It would also be a great company to work for. If I were to ever retire from software, I’d love to go with Nike because sports is at the base of everything that they do and they have the breadth and depth to do it well. If you were to ever to have a completely different career outside of analytics and technology, what would you do? I’d love to be a professional athlete. My very first job out of school was with a company called Decathlon. They are the Nike of France. When I applied for it, I had 15 sports on my resume because when I was a kid, I played lots and lots of sports so I’d love to be a professional tennis or soccer player…that would be a dream career. Who is your team in the MLS? I don’t have an MLS team but my team is the Olympique de Marseille. They are my hometown team and one of the best teams in France. We have a big rivalry with Paris and it’s a very well-known team internationally. What’s the weirdest or coolest metric outside of goals scored that you think greatly impacts the outcome of a game? That’s a really good one. Possession is sometimes misleading so I think the best is a combination of possession time and % passing accuracy. Some teams have 90% passing average and they have a high level of accuracy. The one that is the most misleading is shots on goal because people think the more shots equals more scoring chances but not always. Possession and passing accuracy are going to lead to better results. It means that a team not only is controlling the game but also deciding the best time to take a shot. On February 28, 2009 you tweeted your first tweet @brunoaziza ‘traveling to EMEA CIO summit’. If you had a do over, would you have tweeted something different or are you good with this? I probably would have tweeted, ‘Why am I tweeting?’ At the time it was at the very beginning of Twitter and not many people were doing much with it but it has been interesting to watch the evolution of the platform. Bruno, that’s it! Thanks again for your time today discussing your career in analytics and we can’t wait to see what you have in-store for AtScale.